Time falls away as you explore Bruny Island. You’ll hear its stories and marvel at its scenery. At The Neck you’ll reach the crest of a lofty dune and see the narrow isthmus stretch away south in graceful curves. You’ll take a stroll and leave your footprints in the sand of a deserted beach. 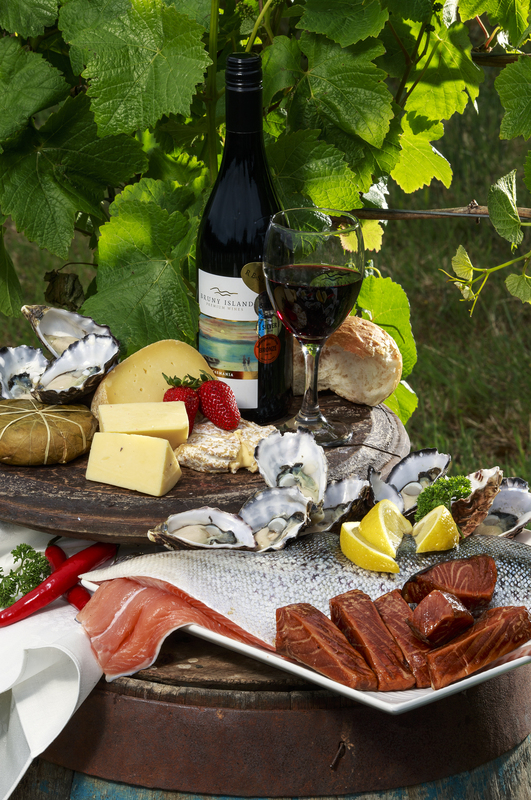 On your Bruny Island journey you’ll meet some of the island’s food and wine producers – people who put their skill, energy and spirit into harvesting the perfect vintage, crafting the most delicious cheese, picking the sweetest summer berries, shucking the finest oysters, growing the most succulent salmon. And you’ll taste the fruits of their labor a wonderful lunch of island specialties served at Australia’s southern-most vineyard. You’ll also feel the spirit of Bruny in its birds and animals, and their wild, natural habitat. Everyone who spends time on Bruny Island shares the experience of leaving everyday life behind. There’s a strange but exhilarating sense of ‘islandness’ – a feeling of being away and apart from the world. It’s hard to explain, but easier to feel. You’ll know it as you walk on the empty stretch of a remote surf beach or as you leave the Tasmanian mainland behind, crossing the D’Entrecasteaux Channel to feel an island’s soul.